1Shake all the dressing ingredients together in a jar. (You could do this anytime, and keep it in the fridge.) 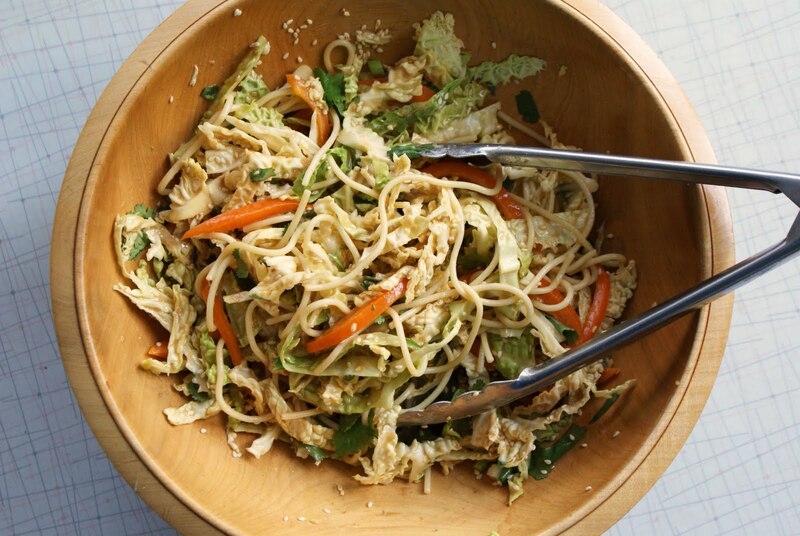 Toss the spaghetti, cabbage and veggies of your choice together, toss with the dressing, sprinkle with sesame seeds, and serve.